New, Cape-Cod Home In Stone Meadows In Mt Washington. 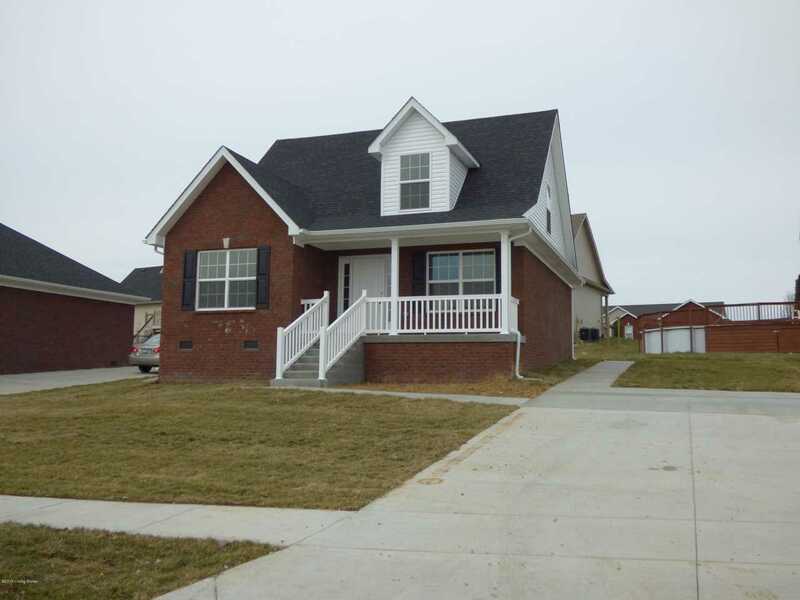 Beautiful Brick Home With Covered Front Porch and Convenient Double Driveway. The Main Floor Has A Living Room, Dining Area, Kitchen, Master Suite, Laundry Room & Half Bath. Upstairs Has 2 Large Bedrooms And Full Bath. Wood-Laminate Floors Flow Throughout The Main Floor. Laminate Tile In The Bathrooms. The Kitchen Has Rich Wood Cabinets and GRANITE Counter-Tops!! Less Than 10 Miles To The Gene Snyder At Bardstown Rd! Great Mt Washington Community With Many Access Options. One Year Builder Warranty. Photos are of another finished home but this home is almost complete and photos will be updated. Lot Size: 0.31 Acres / 13523 Sq. Ft.
SchoolsClick map icons below to view information for schools near 0-Lot 266 Marble Way Dr Mt Washington, KY 40047.